Born in Kenya, Alexandra captures the passion and soul of the African Continent. Her eyes see through the unconditional lens of the artist, expressing both the power and the essential beauty of life in the wild. Silver, gold and copper leaf enrich her original technique of life drawing. 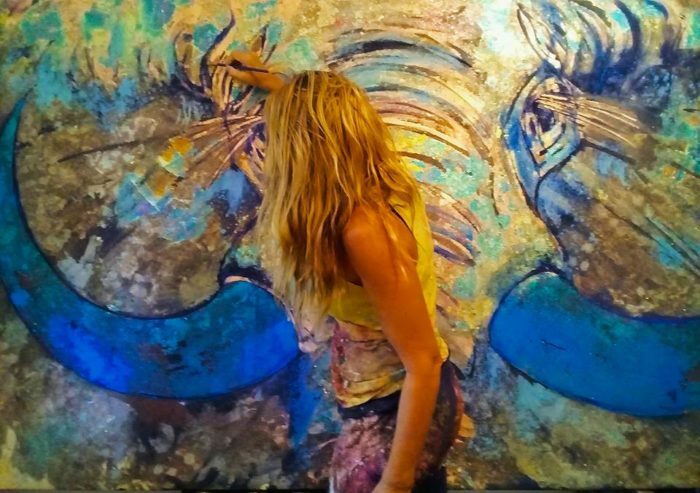 Dancing with colour, Alexandra paints elephants in shades of amethyst, marbled with gold. Warthogs exude the turquoise of the bluest skies, while crowned cranes shimmer in the luminance of her rustic coppers and lime. 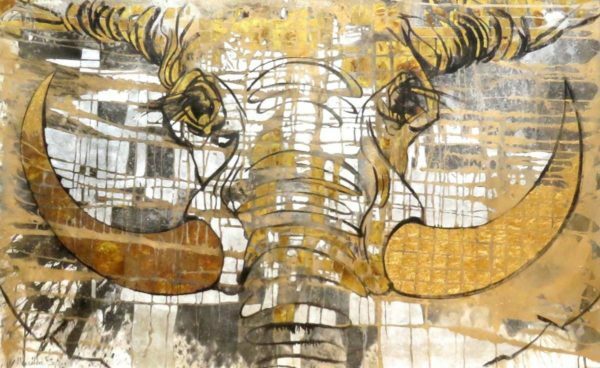 The colourful rendition of the wildlife that surrounds Alexandra’s heartfelt need for conservation is aptly portrayed in her 41st solo exhibition. With collectors such as James Cameron, Luciano Benetton and the Nigerian Royal Family amongst others, Alexandra’s creative vocation continues to expand around the globe. Spyratos exhibition will kick off on April 13 2019 at The Yard in Franschhoek and run until May 13 2019. For any enquiries or a digital catalogue you can email [email protected] or phone 021 876 4280.